Our Mush Push: Valentine's Giveaway! Since it's almost Valentine's Day and I have an extra copy of Pioneer Woman's Cookbook, I thought that would make a perfect giveaway moment. All you have to do is tell me your favorite love story movie. Which movie just melts your heart? Pretty simple. And if you mention my giveaway on your blog, you can get an extra entry. Just make sure you come back and make another comment. This giveaway will be open until Monday (Feb 15) at 9:00am ET. Winner will be posted this evening. Thanks everyone. OOOooo, I've always wanted the Pioneer Woman's cookbook!! Wow, tough choice for favorite love movie, I'm sure I'll think of another later, but because it is close to my husband and my story, I'll go with When Harry Met Sally. Met dated, didn't date, friends, dated, married. We could be a vignette story in that one. Happy Valentine's Day and thanks for visiting my blog! And it's on my blog! I love the Pioneer Woman. I think the Love story that I love is Beauty and the Beast. Sure it is a animated love, but it has lots of heart. He turns away kindness because it wasn't from someone of beauty. He is then curse to be turned into a hideous beast where all others will flee. The spell won't be broken till he can find someone to love him for who he is. Along comes Belle, and despite his unfortunate looks and attitude, Belle starts to see something good deep down inside him. She learns to love him. The spell is broken, they live happily ever after. I love this story because it teaches us not to judge by looks and that love will come in unexpected places. I love Kate & Leopold (with Meg Ryan and Hugh Jackman) because it spans time. I also love Prctical Magic (Sandra Bullock and Aiden Quinn). The magicl element has captured even my husband with this one. When it on he must sit and watch it even though we know most of the lines. Well, two of my favorites have been mentioned. I only own 4 movies and those two are in my collection along with The Story of Us which is a complicated love story but for some reason I just love it. omg. THis is so much pressure b/c there are so many out there! I may disqualify myself by naming more than one. But in the spirit of v-day, I will. Off the top of my head, I will always love Pretty in Pink. True Romance (with Christian Slater) was a really good one. Of course, Romeo and Juliet is always perfect. oh. I got it. If I had to name ONE (at this moment), I would pick Titanic. I cried like a baby during that movie. I would also be in the shower or whatever and think of the movie and just sob. Everytime that Celine Dion song came on (and it did A LOT), I'd tear up. Of course, I was pregnant at the time, but hormones aside, I think it was really moving. oh, btw, I really enjoyed Julie/Julia! It was really positive, inspiring, and balanced the horrendously depressing (but still amazing) The Wrestler from the night before....but then I did some real life research on Julie Powell. Wow. Then I got depressed again. Have you checked her (the real person) out? I mean I know the movie was just a representation on the person/life, and that no one's life is always rosy and lighthearted and played by a cute little actress, but still. I should have just left the movie at that. Sorry if I've just ruined it for you! My favorite love story...Has to be my own. The day I met my husband was the day I met my best friend and soul mate. There isn't a time he doesn't walk into a room and my heart doesn't leap. I know this is kind of corny but I truly am in love with the greatest man! Movie that melts my heart...OMG there are so many, but I have to say my favorite will have to be Cinderella...a rags to riches. I can watch this tale done in any fashion - Disney, modern day style or any other version. Since it is Valentine’s Day, I thought I would go down memory lane and blog about the person who means the most to me in the world. She has stuck by me through thick and thin (figuratively and figure-tively). She is my encourager, my comforter, my confronter, my partner in crime and sometimes my Royal PITA (typed with a tender loving smile)! Diana and I met while we were in high school in 1970. (ahem! 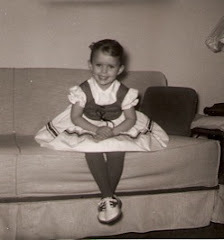 I was 3 years old and she was 2!) We were in a musical production together, singing songs from HAIR and dressed as hippy freaks. Though a friendship started to develop rather quickly, it wasn’t love at first sight as I was already dating someone who I thought would be the one for me forever. After rehearsals a group of us would go to a local restaurant for afternoon snacks, and it was during those times that I got to know Diana personally. At some point I knew that my feelings for her were growing but this was more of a conflict for me because I was already going steady. After the production, we rarely saw each other. Though we went to the same High School, I was in a higher grade than she, and had a different circle of friends. About mid-way into my senior year in ‘71, I had broken up with the ‘one for me forever’…oh well, back then a year WAS forever, wasn’t’ it? A friend of mine said that she had a friend who wanted to meet me and asked if I would be willing to go on a date with her. What followed was kind of like a scene out of “You’ve Got Mail”. Standing on the other side of a wall, listening in on the conversation with my friend was Diana. As soon as I said ‘Sure I will.’ Diana walked out from behind the wall. I must have been nervous or something, I don’t know… My first words were “Oh! It’s YOU from the musical last year!” I could not have been less romantic, huh? Even a simple “Nice to see you again” would have been better! It is now 2010, 2 kids and 6 grandchildren later, Diana (Dyface) and I will be celebrating 37 years of marriage in May. I would be lying if I said it has all been rosy! And I have to admit, that most of our battles were because of me…please don’t tell her I said that! I can be so dang headstrong and stubborn at times, but you wouldn’t know that, right??? To say that she has put up with a lot from me would be an understatement. And her willingness to go along with some of my crazy antics should win her some kind of Nobel Prize or something! Like the time I convinced her to accompany me in our pajamas to the local Chinese restaurant. We were the only two on the dance floor that night, and the chicken fingers belonging to some guy at a neighboring table sure tasted good! Then there was the time that we drove backwards through a McDonald’s Drive-thru and ordered pizza! Oh, and the year we did the Polar Bear Plunge on New Year’s Day…and almost died of pneumonia (we were NOT prepared!). So many stories over so many years! Our hearts don’t always flutter when we see each other anymore; we cherish the times that they do, and accept the times they don’t. We don’t have to spend every waking moment together either and in fact, sometimes look forward to those times that we can have separate alone time. But she is the love of my life, and I am the love of hers; we are faithful to each other and each day we choose to be each other’s partner. My Valentine’s gift from her today is a new frying pan and a can of deodorant. She doesn’t know this yet, but I got her an edible bouquet of fruit, and chocolate covered strawberries arranged as a dozen roses. I think I’ll fry them up for her in my new pan! I'll be sure that my underarms are 'safe'. We are going all out this year! Just thought I would share this….Happy Valentine’s Day, you guys!!! Philadelphia Story -one of the best love stories ever. Kathrine Hepburn and Cary Grant. What more do you need. Bringing Up Baby is a close 2nd. So Suave so sophisticated, just love them. Linda - Anonymous is a fellow Weight Watcher's friend of mine LOL..hard to be apart of a drawing if you don't leave your name! I'm late to the game, but the love story movie that comes to mind is Bridges of Madison County and I dearly luved the soundtrack for that movie. Luved it. Luved it.